It has been our distinct pleasure, since we introduced this design to the world in 2007, to have had a variety of individuals and companies follow in our footsteps; imitation may not be the finest form of flattery, but it is the most clear. 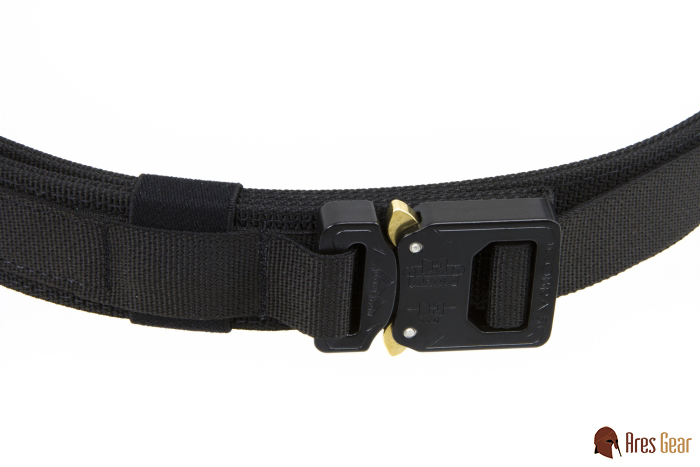 Rest assured, when you wear a Ranger belt from Ares Gear, you are wearing the original. Fortunately, when you wear the original, you wear the best design and best materials available. Try for yourself; hold a Ranger or Enhanced Ranger belt next to any belt from any other maker and see which will support your life-saving equipment better. 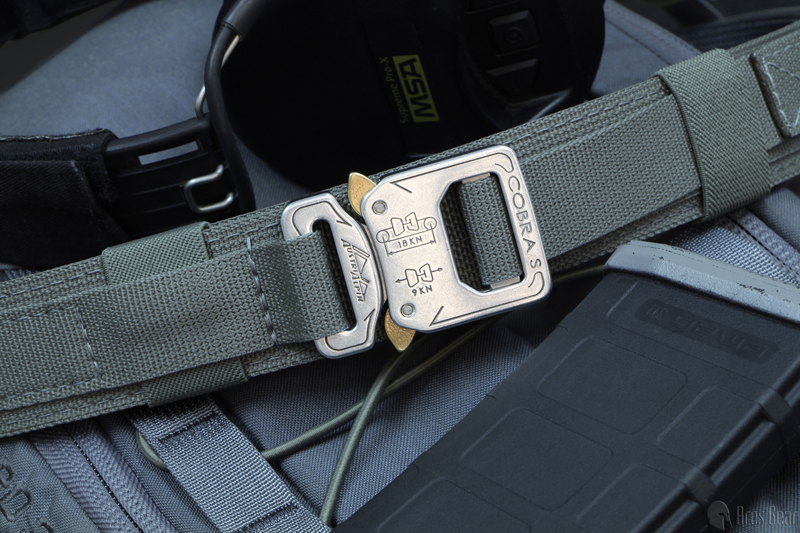 The Ranger Belt is our first and favorite design here at Ares Gear. It is tough enough for extended use in a field environment, and classy enough for khakis when you're doing plainclothes work. 1" webbing stitched to double layers of 1.5" scuba webbing longitudinally, with Cobra QR buckle. Maximum leadtime is THREE weeks from time of order until ship date.